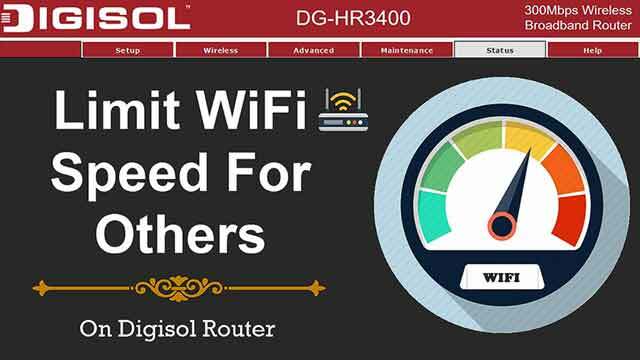 Presenting How to limit wifi speed for others on digisol router tutorial by techgurumore. Now you can limit wifi speed for others all by yourself for all kind of devices like your pc, laptop, mobile phones like android or iphone or ipad or ipod. Just you need to have WiFi router that supports bandwidth control feature. Hiding name of your wireless network or make wifi network invisible is also the quickest way to protect your wifi speed but this does not control their download speed. So, here we are going to explain how you can limit wifi speed on your router for some particular users who are always to be connected to your network. Digisol most common used router, it is best for home use in good price. Digisol has very easy set up to limit bandwidth for clients. Here are the few steps which will help you to configure it. Connect your wifi network to your computer. Open wifi configuration page, you will need wifi configuration IP address. It is generally located on back side of your wifi modem/router. Slandered wifi IP addresses are “198.168.1.1”, “198.168.0.1” and “198.168.2.1”. Every router will require a username and password. If you never changed this when you first configured the router, chances are the username is "admin" and the password is "admin" or “1234” depends on manufactures. It varies from model to model, so you should search your model online to see your exact login info. Once you are logged into your router, you will need to find the Bandwidth Control in Advanced settings of the wifi configuration page. The exact name changes from manufacturer to manufacturer, but generally you are looking for a "Bandwidth control" or "Traffic control" or "QoS Setup" tab or button in advanced settings. Now, click on Add and put value in fields. 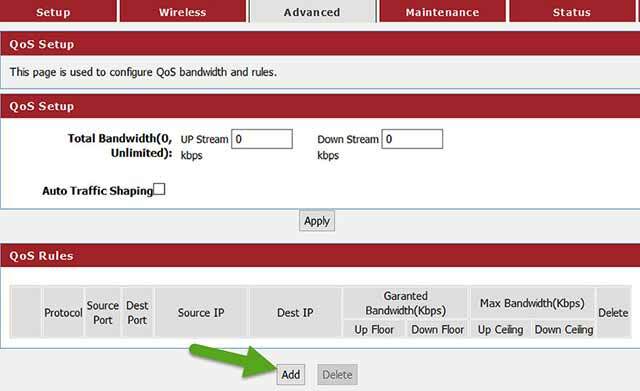 Put IP address in Source IP, set the limit in Up Floor, Down Floor, Up Celling, Down Celling with desired bandwidth value. Now click Add option below. This was the today's blog on How To Limit WiFi Speed For Others On Digisol Router. If you have any query please let us know in comments! Happy Learning! Presenting How to limit wifi speed for others on digisol router tutorial by techgurumore. Now you can limit wifi speed for others all by yourself for all kind of devices like your pc, laptop, mobile phones like android or iphone or ipad or ipod. Just you need to have WiFi router that supports bandwidth control feature...Hiding name of your wireless network or make wifi network invisible is also the quickest way to protect your wifi speed but this does not control their download speed. So, here we are going to explain how you can limit wifi speed on your router for..